I know I’m a few days late, so let’s get going! DATE NIGHT is a priority…Uh oh. Still no date night, BUT we have 2 already scheduled for September with a sitter. Plus I had a special date with my oldest. Submit my writing to other sources…Nope. However, I have still been writing blog posts every day. Try Vlogging (video blogging…not sure if I’m technically up to this challenge, but we’ll try it out.) Hooray! I did this one! HERE it is. Schedule more Blog posts to better utilize my time. With my Sneak Peek Sunday’s, I have been at least having all my ideas scheduled. Sometimes the posts still don’t happen until the night before. Keep eating healthy and exercise at least 4 times a week. Yes to the eating healthy! Just Joined a Gym, and have already been twice this week. STOP yelling as much by BREATHING and Taking Mommy Time-outs as necessary. Plus get more SLEEP. I have been getting more sleep, but still have been feeling like a mean mommy, plus more crying instead of yelling. Not really a win. Don’t go CRAZY with Back to School Shopping. Yes! Only got my son a few outfits, and Grandpa helped with some of the school supplies, since he used to work in Office Supplies. I’m not going to lie, some of August was rough. Especially the last part. I think the stress of my baby going off to school played a big part. Plus, we had the tumbling fiasco, which I don’t think helped with the twins’ behavior AT ALL. Get a good routine going with school As you may have heard, my oldest has started Kindergarten. So far, he’s been dressed and on the bus with plenty of time. It’s still a learning curve for all of us, though. I’d like to plan out clothes, breakfasts, snacks and lunches a little bit more. Get to the Gym at least 3 times a week with the Twins Once we get to the gym, they love playing there. It’s the getting there part that needs work. I’ve gotten them in a bad habit of not getting out of PJ’s, so getting them dressed, packing up snacks, diapers, and getting out of the house takes a lot of work. I’m hoping we get a good routine going for this too. One that also involves them coming home, eating lunch, then NAPPING. We had one bad day and one good day so far. Have fun on my Birthday This year it falls on Labor Day, so everyone will be home. Hooray! I’ve been missing my oldest, so I’m happy he won’t be at school. I also had planned to gather some friends and family the night before, but when no one was responding to my Evite, I got upset and cancelled the whole thing. It was during those rough few days before the school start, so I was extra emotional and probably was being silly, but I’m just going to move on. Follow through with our Date Nights We missed out again in August. I really did try to get our sitter, but waited to long. This month, we have a sitter lined up not one, but two nights! 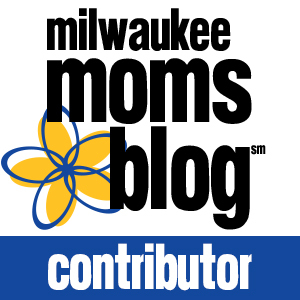 Don’t stress out as much I’ve got A LOT on my calendar for September…March of Dimes events, Twins’ Club meetings starting up, Book Club, Ballet classes, Parent night at my son’s school, Blog posts to write…plus children to take care of, laundry to do, meals to make, etc. It will be easy to get overwhelmed, but my motto for the month is No Stress September! With that note, I’m putting a stop to the goals. That should be plenty. How’s your September shaping up? Have you set any goals? September is my favorite month too! My goals for September are pretty much the same as for all the previous months. Eat healthy, sleep more, blog 2-3 times a week, go to the beach often, keep up with the schoolwork…. You’re lucky you live in an area where you can still go to the beach in September…although it’s been unusually hot here lately. Oh great goals. 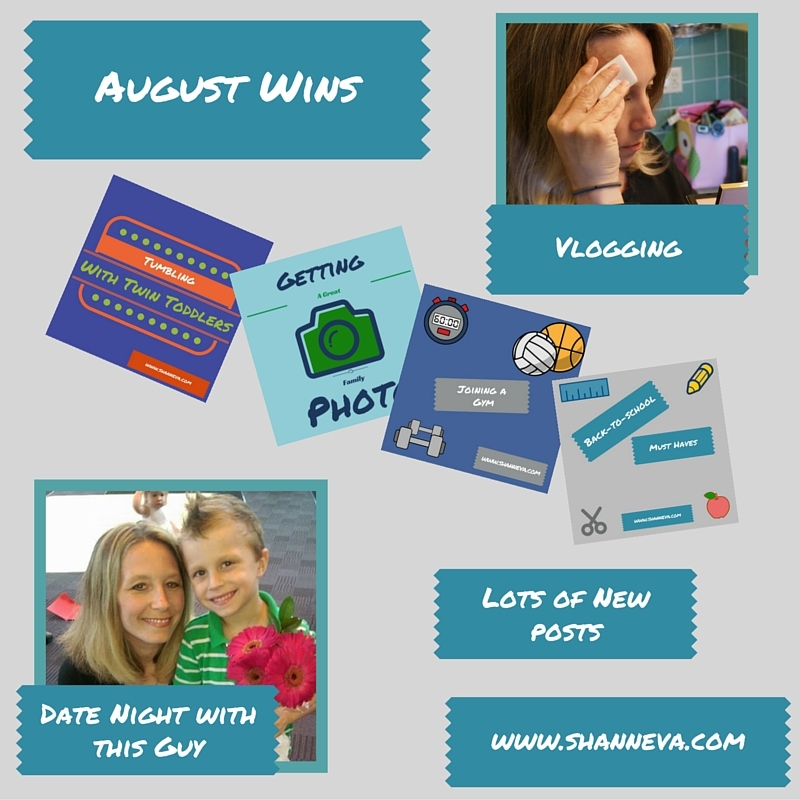 I am too late but I still have to decide my September goals yet…. You sound as though you are having a great time! So far, and it’s only day two, I’ve been rushing out of the door. I also didn’t expect Penelope to wake up at 5:30 instead of her usual 7. It’s like she’s purposely being a poo. So my goal for next week is to get more sleep so I don’t feel like a zombie! Ugh. 5:30 is too early. My oldest keeps getting up around that time too because we’ve been making him go to bed early. Darn kids. I really like your sunday sneak peak idea for blog posts. It almost holds you accountable and lets face it, it’s easy to put off blogging another day!! Great job with your goals! I always feel good if I’ve made some of my goals–or at least made steps towards completing goals. 🙂 I’ve been working on getting into a workout routine lately too. It has really helped me sleep better and feel less stressed, so I’m happy about that. Good luck with your goals this month! I love that you put your goals out there so that you are accountable even if you didn’t get to everything. It is really inspiring!! You did quite well overall. I’d love to do vlogging,b ut I don’t have the courage to do it. I need to schedule my posts more too. You do a great job of going to the gym. Sounds like you’ve got a very full plate in front of you every single day! Date night is difficult to schedule, even without kids so I’d say you’re doing better than most of us in that department. These are great goals! I hope you are able to achieve them this month. Blog redesign is underway and I’m waiting until i get my hair cut to pick up vlogging. I hope it is going to be awesome! It will be! Can’t wait to see it! Great job this month! September is one of my favorite months as well. Good luck with your September goals! Good luck on your date nights! My hubby and I have promised each other once a month, but I wish we could get in more opportunities! Me too! It’s so hard to find the time…and energy. Good luck with your goals! I know it can be easy to say “don’t stress out” but it’s easier said than done! Just take it one day at a time! You can do it! My September plans are to spend more time with my sons and my friends. You have a very busy schedule, girl! I remember when the kids (we have 3 kids too) were young, it wasn’t always easy to get everyone ready on time. And keep my cool! Lol! It’s important to have goals for yourself too, so good job on that. Enjoy your birthday! Don’t forget to plan a date! September and October are my favorite months! I think they are kind of refreshing after all the summer craziness 🙂 I love your goals of date nights. Me and my husband always feel like we’re rushing when he is home (he has to travel a ton) so when he is home we end up taking care of “to-dos” or seeing friends. Sometimes we need to prioritize just “us” time!! Great reminder thanks. And good luck to you this month! Happy birthday Shann and I hope it is wonderful – you deserve it! And it sounds like you are wayyyy organized – which is a great thing – and it’s great you make “date night” a priority! You go girl! Great job with the goals you were able to reach. It’s still awesome that your keeping track and holding yourself accountable for the other ones, that will help! August was still good, I should say. Good luck for September! This month was crazy for me too and September is starting off that way as well. But I’m not going to let it stress me out. I’m going to power through :). I think it’s great you were able to meet most of your goals this month! I agree with Liz. I think it’s awesome that you’re holding yourself accountable. I need to do that but I cut myself a lot of slack :). My birthday is this Monday too :). We’re not doing anything special but as long as my kids and grandkids are here, that is fine with me :). Great post Shann! Have a great day, weekend and Happy Birthday! Thank you Cori! I hope you have a wonderful weekend and a fabulous birthday! I still can’t believe we share the same date….great coincidence! Ha ha! My husband falls asleep all the time when we try to watch something, so I’ll say yes! 🙂 Thank you! Hope you have a great September too! I love your goals… And your honesty with completion (or lack of) I’m with you on the mean mommy… My son is at the age of pushing buttons and I need to learn to step away! Good luck on the new goals!!! At least get those date nights! It will help with the stress. Same with the working out!!! 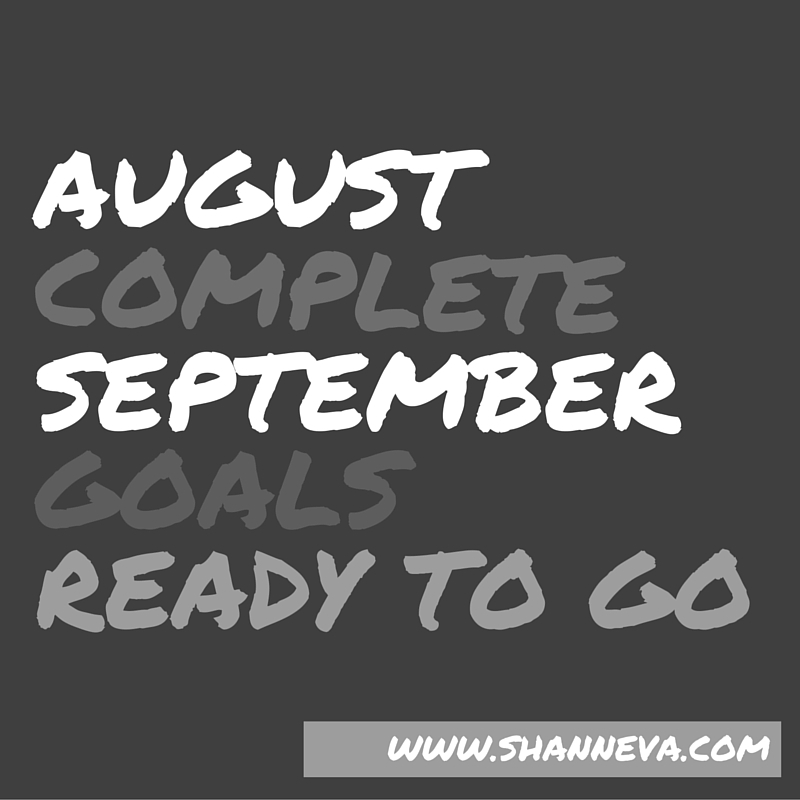 I’m so glad that you’ve reached your goals last month, and I’m sure you can reach your goal this month. Oh wow. I never thought of doing something like this but I am impressed. I think I might copy your idea next. Now … congrats on vlogging. I have wanted to do that but never made the time. Your post inspires me. Hopefully, it will push me more. Regarding being a mean mommy, we all have those moments. I do not see my son Monday to Friday coz of work and I feel like a worthless Mom. So yeah, we need to just keep moving forward. Regarding more sleep, it really helps you know. It really really does. Now good luck to your September goals. and I hope that you get to accomplish more. HUGS! Great job on your August goals and best of luck for September. 🙂 You can do it! !